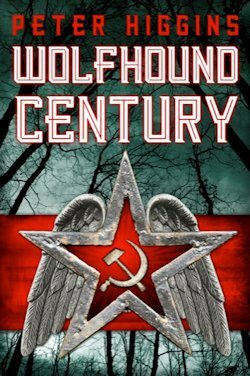 One of the discoveries–and pleasures–of my recent reading life has been the extraordinary, genre-busting Wolfhound Century series, by British author Peter Higgins. Set in the Vlast, an alternative world inspired by the history and culture of Russia, where dying angels, giants, rusalki and forest spirits exist alongside revolutionary terrorists, mad scientists, rocket ships, spies and secret police, this magnificent trilogy(made up of Wolfhound Century; Truth and Fear; and Radiant State) is breathtaking in its ambition, scope, dazzling and sensual use of language, gripping and twisty plot–and sub-plots!–and wonderfully depicted array of characters. With its mix of thriller, alternative history and fantasy–both urban and quest–it’s simply the most exciting, assured and original debut I have read in a long time and in fact ranks high amongst the very best speculative fiction full stop. I’m not the only one who thinks so incidentally, as this review in The Guardian indicates! The trilogy has recently concluded with Radiant State, and after finishing it I contacted the author and had the good fortune to interview him. The Wolfhound Century trilogy is your first published work, is that right? 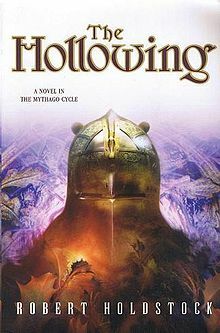 Can you tell me a bit about your background and how you first came up with the idea for the books? I had some short stories published before I started on Wolfhound Century, but these are my first novels. I was always a reader and wanted to write but for a long time I didn’t know how. Then I happened on a book in a junk shop by Joan Aiken (whose stories I love) called The Way To Write For Children and it was a revelation. She didn’t just tell you what a good story needed, she told you, quite simply, how practically to go about writing one. How to collect and store material, ask questions of your ideas, build them up bit by bit. Some people write a different way, or they just naturally fall into the process, but I didn’t. I needed that book. Even then it took me years to work out what kind of stories I could write: I love the freedom and energy of fantasy, but I also love researching and evoking the atmosphere of historical periods and other places. It finally came together when I started building a fantasy world out of the materials of history. It’s very much the kind of thing that Guy Gavriel Kay or G R R Martin do, I guess, but I decided to use the twentieth century, and draw on that dark and strange and luminous and cruel experience in Europe and Russia, rather than look to some more distant period. And that’s how the Wolfhound Century series started to come together. The series immerses the reader in a richly dark, complex and layered world of magical alter reality. I am not at all surprised you chose the extraordinary history, folklore and culture of Russia as the inspiration of the Vlast, imaginative world you created, but can you tell me how you went about bringing it to life? When I’m writing I work on two parallel tracks. On the one hand, I immerse myself in the materials I want to work with: twentieth century history, spy novels, Russian literature and art and film and folklore, anything that grabs my attention. And on the other hand, at the same time, I’m planning the story, building characters, working out the plot, the themes, what’s at stake. And out of all that, basically, I grab what I want. Sometimes I come across something in my ‘research’ that really excites me, and I try to figure out how to bring it in to the story. Sometimes the story needs something – a setting, a particular kind of character – and I look around for what would be good. If I take something from my research, I usually twist it, change it, mix it with something else, make it magical or fantastical, to bring out what I think is important. It’s about building an interesting, different world with compelling characters and situations, a world that has a kind of atmospheric resonance. It’s a very instinctive process. 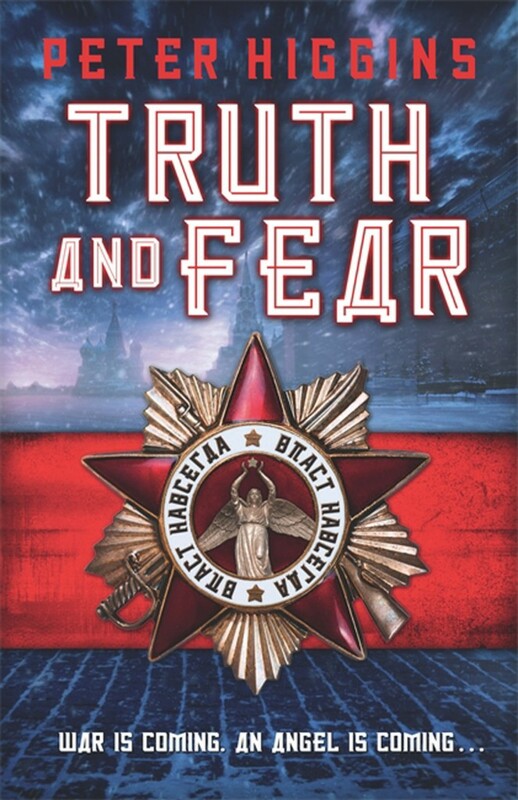 I’m struck by how seamlessly you have managed to evoke different periods of Russian history–from the late Tsarist period through the anarchist and Bolshevik period and full blown Stalinism–yet have telescoped it within the world of the series in a way that feels coherent. How difficult was that to achieve? One way I found of making the whole thing hold together as a coherent story was to make it a thriller. Writing a thriller is a fantastic discipline: it cranks up the narrative pace, brings in mystery and conflict and danger, and makes you keep the characters moving. The story has to stay focused on the main event. As a writer, I found the thriller form very liberating, because there are clear principles and rules about plot and structure that other writers have worked out before you, which actually work. It gives you a solid framework that you can use to support the weirder and the wilder flights of imagination without losing the reader or yourself. Also, I’m a huge thriller fan, from John Buchan to Lee Child and Martin Cruz Smith. Alongside the thriller plot, the telescoping comes from the sense, which becomes increasingly apparent as the trilogy unfolds, that time is subjective and moves at different speeds for different people and in different places. The presences from the forest, for example, the giants and so on, live long, slow lives. And the capital city of the Vlast, Mirgorod, is layered with traces of different times; it’s a kind of haunting. When Josef Kantor becomes the dictator Papa Rizhin, he’s able by sheer force of will to drive the Vlast to great social and technological changes very rapidly, but where his influence is weak time passes more slowly: people get caught in the past, trapped by memories or resentments, their lives get out of kilter, sometimes the dead wake and walk. I think the twentieth century was like that: huge and often disastrous advances driven fast by urgent necessity (the Manhattan project; Stalin’s industrial transformation of the Soviet Union; Mao’s Great Leap Forward) but people and places left stranded, trapped by history, recycling traumas, or simply refusing to share the common story. I love the way too that you have used Russian myth, folklore and language to conjure a world that feels both strongly rooted yet wonderfully strange. Can you expand on that? I grew up with the idea that Russia was a very strange, fascinating, dangerous place. 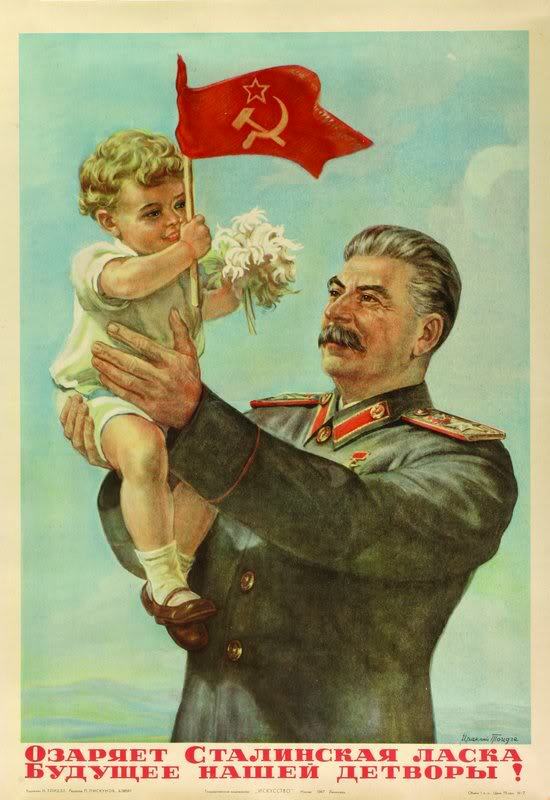 During the Cold War the Soviet Union was, for me, a huge imaginative presence – inaccessible, threatening, vast, oppressive, but also the place where fantastic art and literature and folklore came from; the place of endless forests and oddly fairy-tale architecture alongside prison camps and concrete tower blocks. I felt it was the scary looking-glass world that was really there, behind the iron curtain. That’s the kind of feeling I wanted to capture in the Wolfhound Century series. 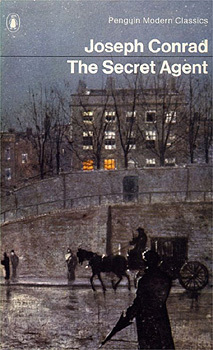 One of the many things I loved about the series too was the feeling that it was influenced by many other books and writers–Russians, of course, principally, but also I wondered if Joseph Conrad’s The Secret Agent, Alan Garner’s The Owl Service and Robert Holdstock’s The Hollowing had been influences? Any others as well? That’s uncanny. Those are three of my favourite authors. The collision between Conrad’s murky, compromised city of anarchists and policemen and Holdstock’s ancient, endless, subconscious-made-real forest is in a way the starting point for the Wolfhound Century trilogy. 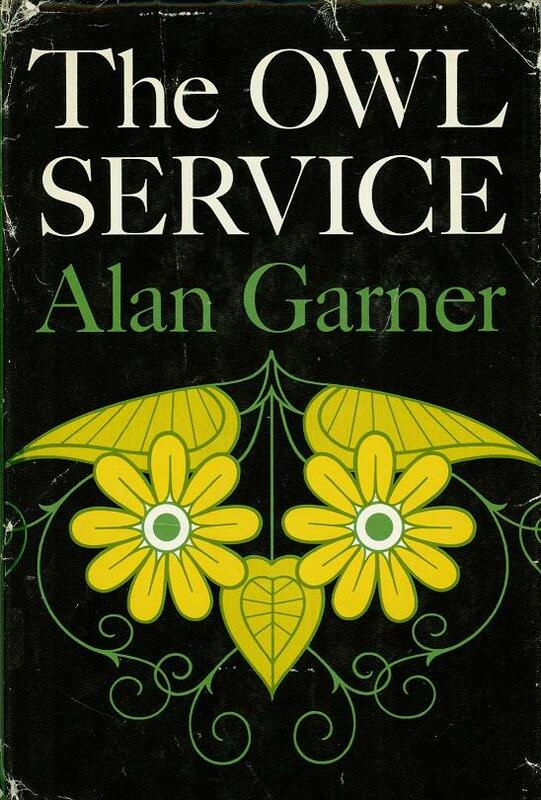 And Alan Garner was my first really exciting private reading discovery: I found The Weirdstone of Brisingamen and The Moon of Gomrath in the library, and read them both over and over. I haven’t thought about The Owl Service for years, but now you’ve mentioned it, I see there’s certainly a connection to my books: the electric, mysterious, mythic presences in the natural world reaching out and entangling the characters in a dark story larger than themselves. We did it at school and I remember seeing it on TV, and it spooked me a lot both times. I haven’t been back to it since but it seems to have been working away, below the surface. Another huge influence for me is Gene Wolfe’s The Book of the New Sun. I don’t think I write particularly like him, or about the same things, but I discovered The Book of the New Sun at a time when I really didn’t know what I was trying to do, and it hit me right between the eyes. 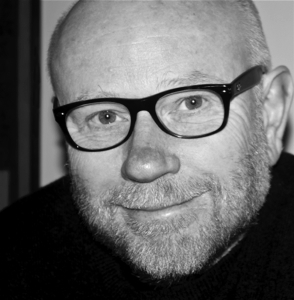 That book opened up for me just how ambitious and adventurous and unlimited fantasy writing could be: the endless inventiveness, the ambition and the seriousness of his writing were a revelation. I realized I needed to try and write something that at least entertained the possibility of being that good. Your characters aren’t only human but also superhuman and non-human–angels, giants, forest spirits and more. You have poignantly and grippingly evoked their steadily-diminishing world. How did you go about it? It’s about looking at everything that the Russian and central European imagination has produced – the folklore, the forest, the visionary paintings of an artist like Chagall, golems and rusalkas and talking wolves, as well as the revolutionaries and the state police and the prison camps and the mass hunger – and taking it as if it was all equally real and tangible and actually happening. The driving idea of the series is that an over-dominant state – any such state, it doesn’t have to be the Soviet Union particularly, the one in these books is called the Vlast – wants to impose a single way of thinking, wants to make everybody see the world the same way and be part of the one collective story, and uses its oppressive power to drive out and silence anything that doesn’t fit with that. But everywhere in the Wolfhound Century world things are alive and percipient – sentient rain, thinking rivers – and there are giants and spirits and intelligent shape-shifting wolves. For the characters this generates a lot of tension: how much reality do you accept? what do you close your mind to? It’s not ‘good natural world’ versus ‘bad government’: the wider, deeper world, like the individual human psyche, isn’t particularly morally good, it’s just unavoidably there; and much richer and more alive than any one way of organizing things will allow. Josef Kantor, later Papa Rizhin, feels like a mix of Lenin and Stalin by way of the People’s Will anarchists. Is that a fair comment? Yes, Stalin in particular. Kantor isn’t a portrait of Stalin, any more than the Vlast is a portrait of the Soviet Union, and some of the events surrounding him and the things he says and does are drawn from Lenin and other revolutionary writers and activists, but Kantor’s character and story – which in some ways is the spine of the whole trilogy – is largely built from aspects of Stalin that I think are particularly compelling. Stalin’s journey from being Josef Djugashvili, revolutionary, poet, bank robber to being Stalin the Steel Man, terrorisor of the people and even his own supporters, then victorious war leader, then hugely-dominant avuncular dictator, is strange and oddly gripping. You can see in early photographs of him that he was very alive and engaged, very human, someone who might have been a good person. It’s as if something alien and appalling got into the machine, or something dark came out of the psyche. Vissarion Lom and Maroussia Shaumian, the two heroes of the series, grow and change a great deal during the course of the three books. Can you expand a little on that? Lom starts as an investigator in the political police, serving the Vlast in an obscure provincial town, and when we first meet Maroussia she’s working in a factory making uniforms. Both of them get unseated from those niches and driven to embark on a kind of exploratory journey/quest. Maroussia is the main ‘quester’, the driven Frodo-figure: Lom has to work hard to keep up with her and figure out what’s going on, what the bigger picture is. And there’s something magical, perhaps not entirely conventionally human, about Lom, which he doesn’t himself understand but grows into. That’s the spine of it. But a large part of what I was trying to do is to show them both unfolding under the pressure of what happens to them and what they discover, opening up more and more to the world around them, becoming increasingly perceptive, connecting with what’s coming out of the endless forest, unlocking closed areas of the unconscious, extending the capacity of what people can do and perceive. 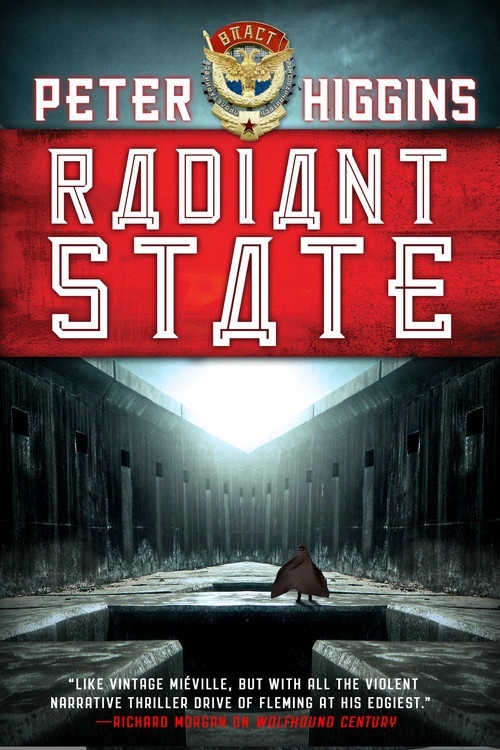 I felt that the ending of the third book, Radiant State, is left a little open–is there going to be more exploration of the world of the Vlast, or are you looking in other directions now? Part of what I love about fantasy and science fiction is the feeling that the worlds the books build don’t stop when the books end. The particular struggle has come to a conclusion, the characters have changed in some fundamental way and so has their world, but nevertheless the world continues. It’s still there, somewhere. That’s the feeling I wanted to leave at the end of the trilogy. Maybe, possibly, I’ll revisit the Vlast one day, though I’m working on something else now. When I look back at the trilogy as a whole, I feel there’s a completeness to it, that I’ve done what I wanted to do and if I added more it wouldn’t be better.